Do you love gardening? Do you love a nice drive and something fun? 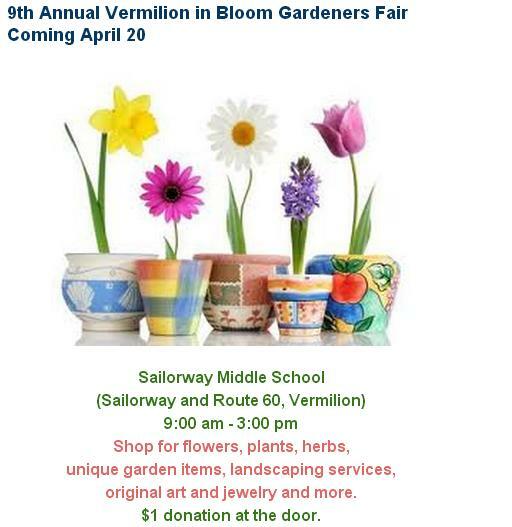 I hope you plan to visit the Vermilion in Bloom Gardeners Show tomorrow at Sailorway Middle School in Vermilion. There is a $1 donation at the door. As you are reading this post we have arrived at Vermillion, and are setting up our booth for the fun and festivities tomorrow. We have spotted several nurseries with a lush array of perennials, and herbs. And the ladies of the Vermillion in Bloom committee are setting up the “Chinese Auction” with garden lattice and pairs of garden gloves pinned to the lattice. Each pair of gloves represents one donated prize. As a fund raiser, this is absolutely a hoot. You buy a pair of gloves, and it is a double blind decision because the gloves have a code on them, that is deciphered by looking in a little index card box to determine what the prize is… and the prizes are spectacular… from perennials to watercolors to amazing good donated by the vendors. can you spot the fairy? Yes, it is a fairy garden. And the nurseries are bringing all of their fun planters, hypertupa pots and fairy gardens. And on the other side of the building you will find beautiful watercolor artists, driftwood creations, garden accents and ofcourse, you will find us!!! We have a special for this show…. it is a gardener’s kit consisting of a small basket filled with a bar of gardeners soap and a nail brush…. everything to clean those hard working hands after the garden. 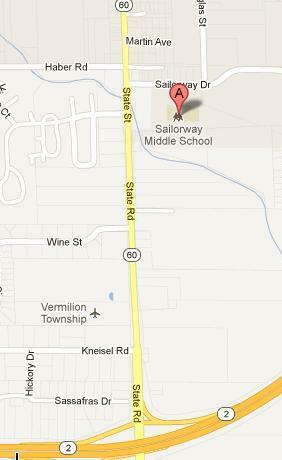 If you are coming from Cleveland take Rt 2 west to Rt 60 north (right turn) and look for Sailorway Drive, which will be a right turn. There will be signs at the door. Hessler Street is less than a month away!